From the New York Times bestselling author of City of Light comes a compelling, richly detailed tale of passion and intrigue set in New York City during the tumultuous early days of World War II. Claire Shipley is a single mother haunted by the death of her young daughter and by her divorce years ago. She is also an ambitious photojournalist, and in the anxious days after Pearl Harbor, the talented Life magazine reporter finds herself on top of one of the nations most important stories. In the bustling labs of New York Citys renowned Rockefeller Institute, some of the countrys brightest doctors and researchers are racing to find a cure that will save the lives of thousands of wounded American soldiers and countless othersa miraculous new drug they call penicillin. Little does Claire suspect how much the story will change her own life when the work leads to an intriguing romance. Though Claire has always managed to keep herself separate from the subjects she covers, this story touches her deeply, stirring memories of her daughters sudden illness and deatha loss that might have been prevented by this new miracle drug. And there is James Stanton, the shy and brilliant physician who coordinates the institutes top-secret research for the military. Drawn to this dedicated, attractive man and his work, Claire unexpectedly finds herself falling in love. But Claire isnt the only one interested in the secret development of this medicine. Her long-estranged father, Edward Rutherford, a self-made millionaire, understands just how profitable a new drug like penicillin could be. When a researcher at the institute dies under suspicious circumstances, the stakes become starkly clear: a murder has been committed to obtain these lucrative new drugs. With lives and a new love hanging in the balance, Claire will put herself at the center of danger to find a killerno matter what price she may have to pay. Lauren Belfer dazzled readers with her debut novel, City of Light, a New York Times notable book of the year. In this highly anticipated follow-up, she deftly captures the uncertainty and spirit, the dreams and hopes, of a nation at war. A sweeping tale of love and betrayal, intrigue and idealism, A Fierce Radiance is an ambitious and deeply engaging novel from an author of immense talent. Readers looking for a fascinating story, with fallible, all too human characters, and engrossing details about a time and place not too far removed from the present, will enjoy A Fierce Radiance. Belfer conjures up a world where death can come from the prick of a rosebush, and where the choices people make can determine the fate of millions. (Reviewed by BookBrowse Review Team). Belfer handily exploits Claire's photo shoots to add historical texture to the book, and the well-researched scenes bring war-time New York City to life, capturing the anxiety-ridden period. A ponderously paced historical thriller. Starred Review. Belfer combines life-and-death scenarios, romance, murder, and wartime reality at home and abroad, while taking a stab at industrialists who profit by dubious means and salve their consciences through philanthropy.... An engrossing and ambitious novel that vividly portrays a critical time in American history. Starred Review. With an exquisite artist's eye for detail that puts readers right in the middle of New York City and the World War II fronts and incorporating all the elements of a hot, sprawling, page-turning romance—not to mention espionage, murder, crime-scene deceptions, big business intrigue, and family estrangements—Belfer (City of Light) once again blends fiction and facts with riveting results. Enthralling. A Fierce Radiance shines with fascinating detail about a moment in American history we have mostly forgotten, when penicillin was new, miraculous, and in short supply. Belfer’s powerful portrayal of how people are changed in pursuit of a miracle makes this book an especially compelling read. One of the best of 2010! The Rockefeller Institute features prominently in A Fierce Radiance. While Dr. James Stanton and the other researchers depicted in the novel are fictional, the Institute is a real place dedicated to biomedical research. 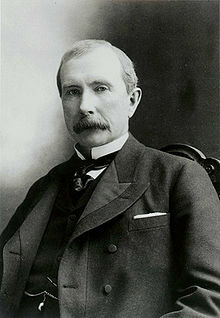 It was founded in 1901 by John D. Rockefeller Sr., philanthropist and owner of Standard Oil, after his grandson died from scarlet fever. The Institute was the first research center in America to focus on cures for the major diseases of the day: tuberculosis, diphtheria and typhoid fever. The riveting history of tuberculosis, the world's most lethal disease, the two men whose lives it tragically intertwined, and the birth of medical science.